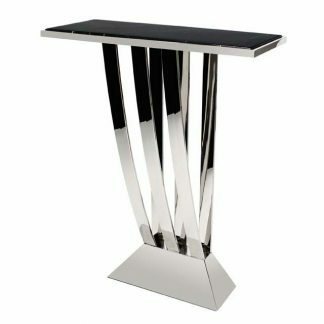 Stainless steel console table with black marble table top from Eichholtz. 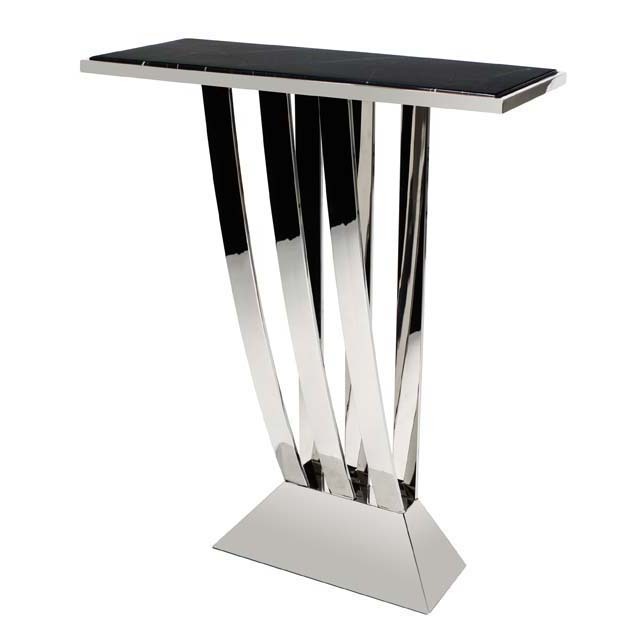 The Beau Deco Console Table comprises a unique table frame with a large, sturdy base and protruding slats on either side forming the main body, cast from stainless steel. 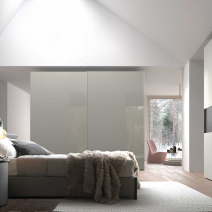 On top, there is a sleek, rectangular table top ? also stainless steel ? 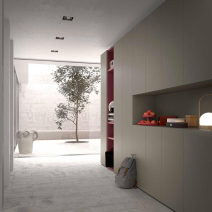 with a contrasting black marble table top surface. 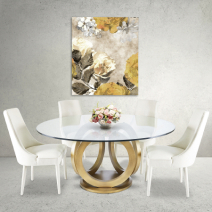 The mix in materials creates a monochromatic effect which adds an aura of sophistication and elegance to the table. 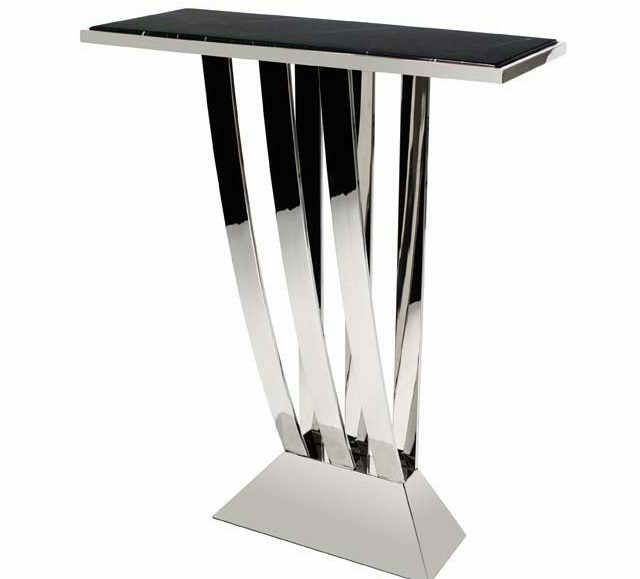 The Beau Deco Console Table will make a fine addition to the lounge, dining room or hallway of your home where it will channel contemporary designer style.